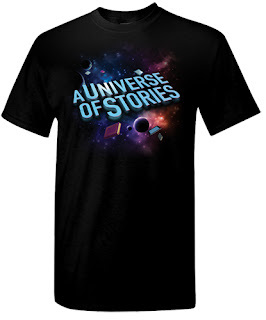 The Friends of the Library are selling t-shirts with our Summer Reading Theme: A Universe of Stories. Pre-order here by April 30. Only the orders are due now; you'll pay when you pick up your t-shirt(s) in June. We're having our own March Madness with books this month! Our TAG (TNT Advisory Group) has created brackets with the books that have checked out the most in the last year. 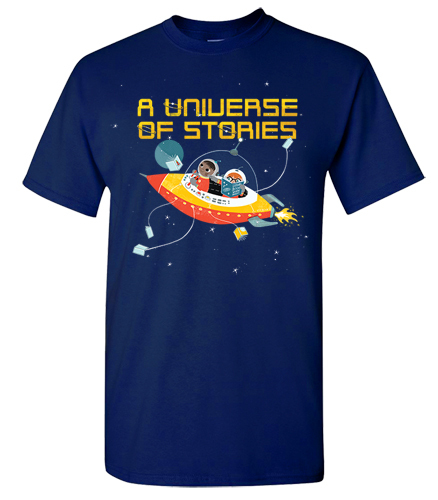 You'll vote for your favorites each week as we narrow the field from 16 books to one winner. 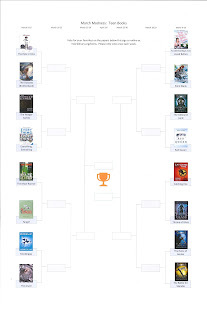 Click on the image below to enlarge the teen book bracket and vote here. 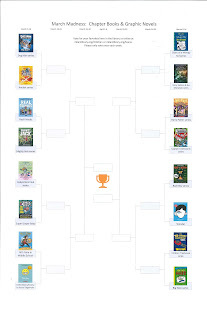 Click on the image below to enlarge the chapter book/graphic novel book bracket and vote here. It's February, so "Blind Date with a Book" and "Don't Judge a Book by its Cover" are back! We've wrapped some books and provided a few clues about them on the covers. 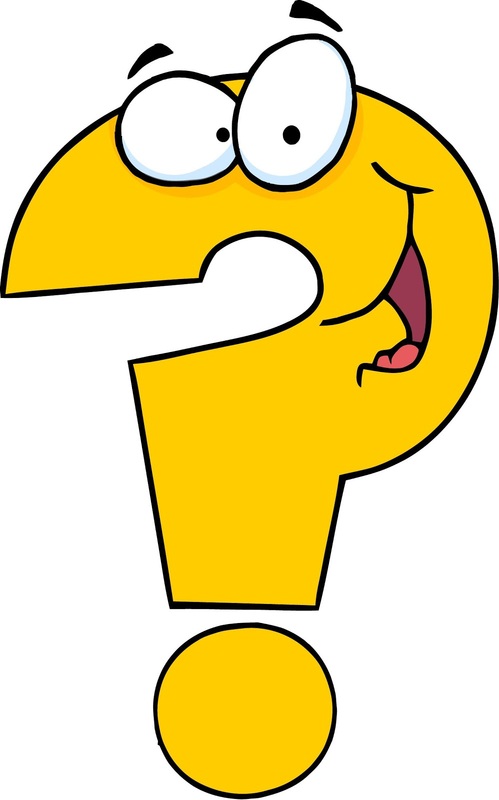 Are you not sure what you want to read next? Or want to try something new? Stop by to check out one of these books and see if you find love at first page! 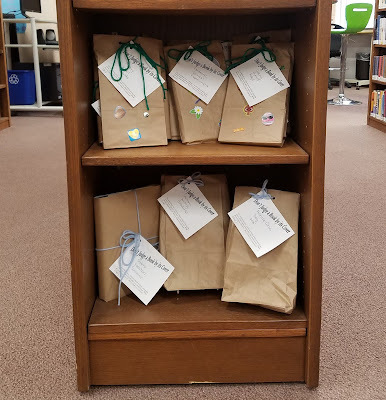 Our teen Blind Date with a Book display is in our teen area and contains books from our teen section. 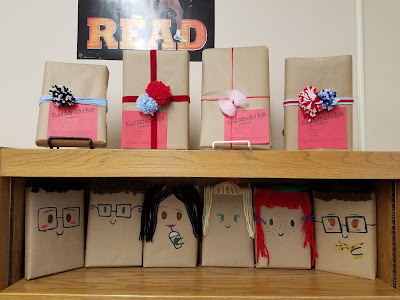 We appreciate the teen volunteers who selected, wrapped, and decorated the teen books. They are amazing! Thank you! Our Don't Judge a Book by its Cover display is in front of the reference desk and includes chapter books and middle grade books. These books are color coded to help you choose a good match. You'll find good middle school options wrapped with green and blue yarn. Registration is requested for our events. You may register online here beginning on June 4. We will also have paper registration forms available at the library beginning on June 13. TNT Tuesdays will be held throughout the summer. See our TNT Summer Events page here for more information. 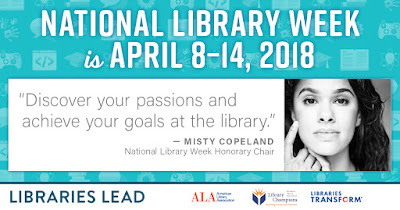 The 60th annual National Library Week will be observed April 8 through April 14. This week is designated to acknowledge libraries’ contributions to our communities and to promote library use. 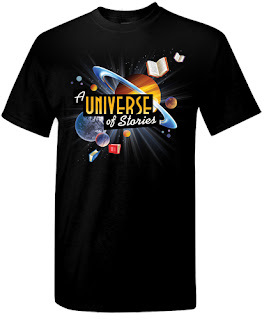 Milan Public Library strives to provide information, education, and recreation for our community through its collections, programs, and services. The library offers books, movies, audiobooks, ebooks, jigsaw puzzles, cake pans, mobile hotspots, and more to check out. Programs are offered for all ages, from Tiny Tales for toddlers through book clubs for adults, and events for everyone in between. This month, the library is introducing two new items: American Girl dolls and Kill A Watt™ devices. Rachel Madynski has donated two American Girl dolls, Samantha and Addy. These dolls will be available to check out on April 18 You can reserve them now (Samantha, Addy). Samantha represents the early 20th century and Addy represents the Civil War era. The library also owns the American Girl books about these two characters; you can check out the books with the dolls to read their stories. The library appreciates Rachel’s donation which allows these dolls to be available to our community. Thanks to the Friends of the Milan Library, two Kill A Watt™ devices will soon be available to check out for a one-week period. The Kill A Watt™ is an energy meter that allows you to easily and accurately measure how much electrical power is being used by your household appliances and electronic devices, including energy they use when turned off (known as “vampire loads”). Knowledge is power! Stop by the library this week to see all we have to offer you: books, DVDs, audiobooks, magazines, jigsaw puzzles, cake pans, and more! Learn how a books gets to the library, from how we choose which books to buy to how they end up on the shelves ready to check out. You'll help choose books for us to purchase this month. Registration is required. Please register here. Drop in. No need to register. Stop by the library any time between 1:30 and 3:30 to play board games, card games, cup stacking, and more. There are always some board games and puzzles in the teen area for you to enjoy any time you are in the library. We also have UNO cards and playing cards at the circulation desk. If you'd like to play those, just ask for them at the desk and return them when you're finished. 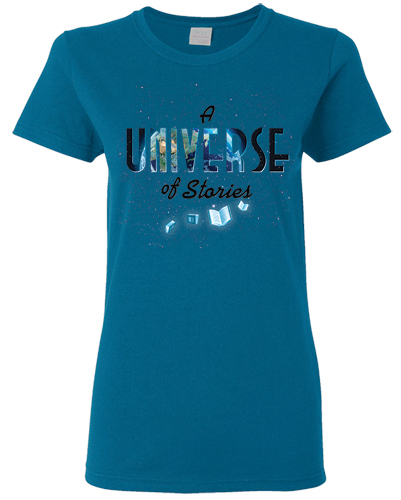 We are starting a new monthly TNT (Teen & Tween) event. We'll do something different each month. Making slime, craft projects, Escape Room games, other games, and more are already on the list of possible activities. You'll help decide what we do each month. The first program will be held on Saturday, January 20 at 1:00 P.M. Future events will most likely continue on the third Saturday of each month. - you have any questions about this event. We hope to see you on the 20th!